Monday already? How can it be the start of another work week again? Wasn’t it just Friday yesterday? Yep, this is me every week. Well, this weekend just flew by. It was full of activities and trying to get stuff done. I even managed to squeeze in a bit of crafting time with friends too. At one of our past Downline meetings, one of the ladies asked we could start card challenges in our group. We do a monthly card swap, but this would be more of a creative challenge that would could participate in and we’d only need to make one of each card and post it on our Facebook Group. 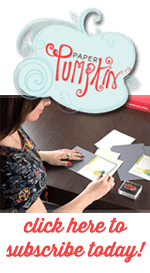 I am thankful Chrissie came up with this idea because I think it’s going to be a fun way for us to see what the other ladies in our group are making. The plan is to have a new challenge every month. It could be using specific colors, or type of stamps, or a special design/theme. For June’s Challenge, I chose flowers and In Colors as the two requirements. Everything else is left to the individual person. 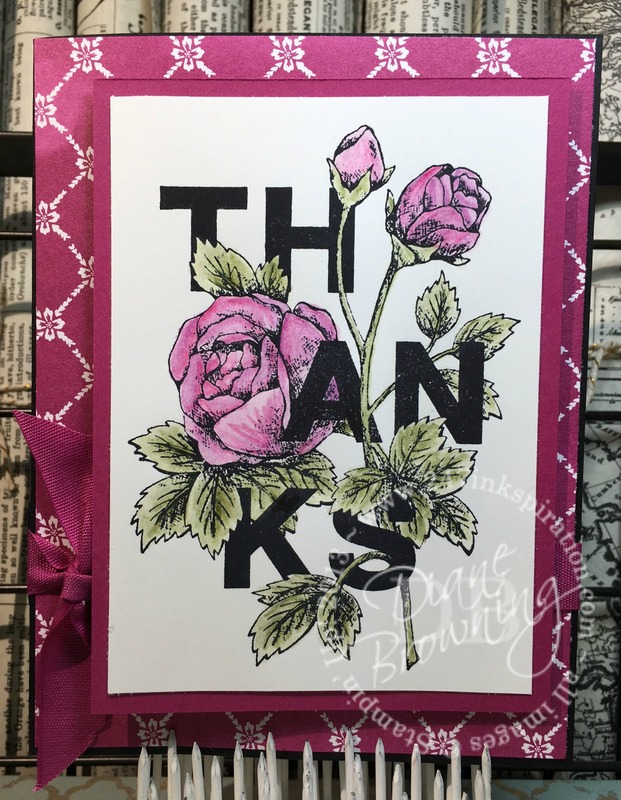 For my June Challenge card, I used the Floral Statements stamp set. If you’ve seen the stamp set in the catalog, you probably noticed that it looks a little blah. However, when you color in the flowers and leaves, it goes from blah to amazing. Just look at the difference in the two images. Just look at how different it is when colored in! The detail in the flowers and leaves is amazing. And, it looks so pretty colored in using our Watercolor Pencils. Here is the finished card. It really pops on the matching pattern paper. 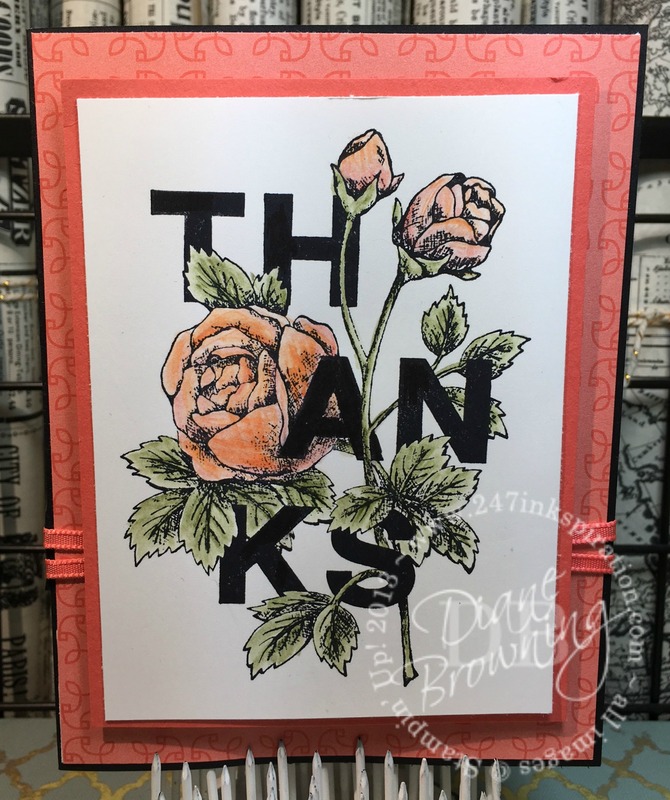 I used a Basic Black card base to tie in the black of the “Thanks” font. These flowers also look amazing in other colors too. These roses are colored using the Pumpkin Pie and Calypso Coral Watercolor pencils. 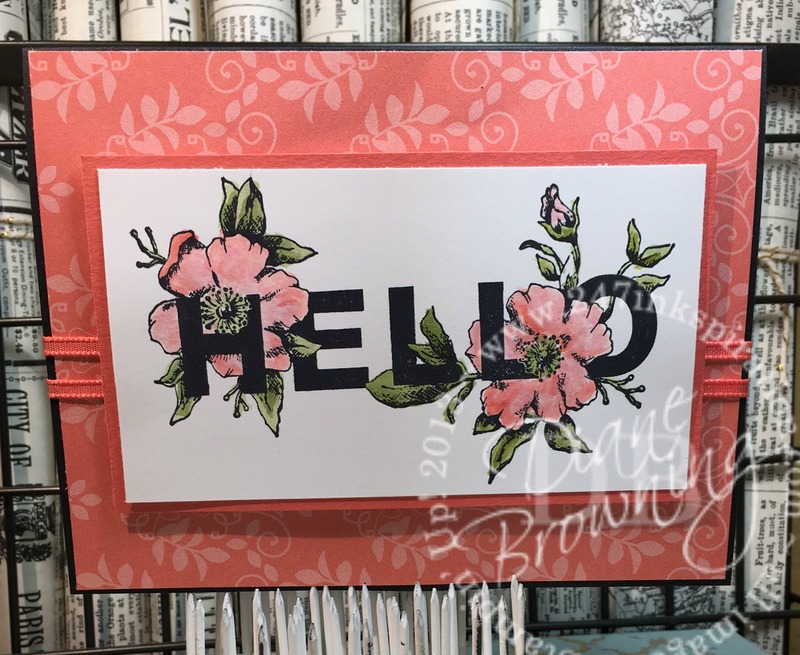 And here’s a card using the “Hello” stamp. 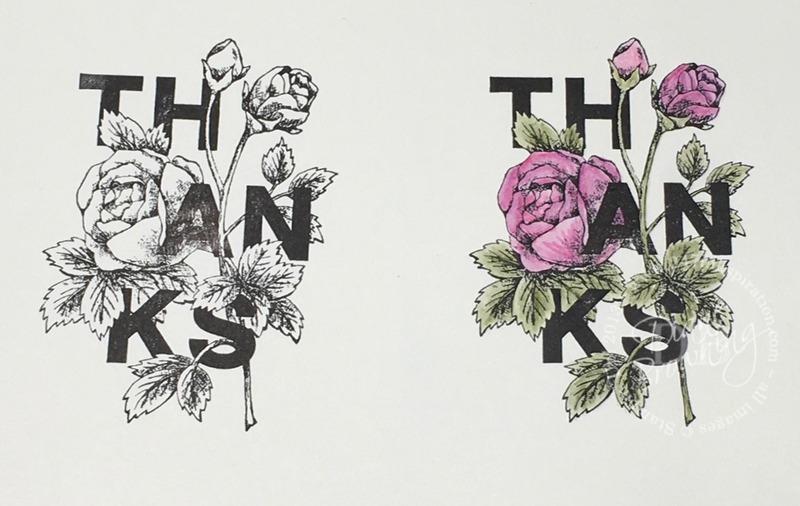 I’m not sure what the flowers are on this card, but they are just as pretty as the roses on the “Thanks” card. I have a few more of these images stamped so I will be trying some other color combinations soon. Since I’ve already shared these here. I’ll post the new versions on Instagram and Facebook when I can. You can follow me on Instagram (247inkspiration) or follow my Facebook page (24-7 Inkspiration) to see all sorts of crafty ideas, works in progress, and occasionally a really messy desk.